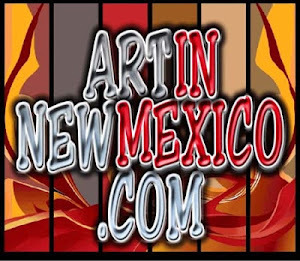 Continuing their seasonal theme of music by Tchaikovsky, Ballet Repertory Theatre of New Mexico finished out their 24th season with a program full of master works by masterful choreographers, presented May 3 & 4, at Albuquerque's historic Kimo Theatre. 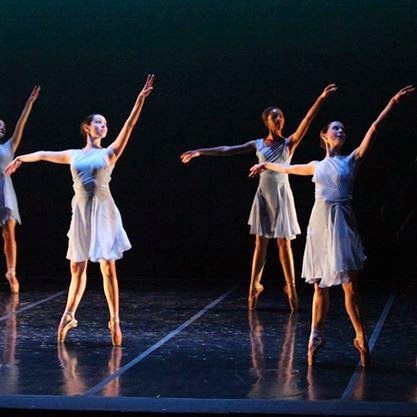 BRT's Spring concert is always one where the company's dancers can expect to push their boundaries outside the classical repertoire, and audiences can expect innovative, creative voices in our dance community to be expressed through the medium of the entire company. Thankfully for us, Katherine Giese, BRT's company director, excels at giving these opportunities to her dancers and choreographers, and we, the audience, get to fully enjoy the fruits of their labor. The evening began with the first of Tchaikovsky's fantasy overtures to be presented, "Hamlet," choreographed by Vladimir Conde Reche. Danced in bare feet, the contemporary movements and angular shapes created the turmoil of the tale, while grounding this story's angst with earthy emotions, and even costumed in earthy tones. Evoking the emotions of the piece without giving us a literal story ballet translation, Conde Reche chose not to cast any one dancer as "Ophelia," or "Hamlet," but to allow all the dancers to find these moments within the choreography. Capturing the atmosphere of this dark, fantasy overture, the moments when the females were suspended, hovering over their men, in floor work and in lifts, suggested the romantic, yet ungrounded quality of Ophelia's mind, as well as the couple's complex relationship to one another. Briana Van Schuyver's passionate solo gave of her artistic side as much as her technical abilities, and by the story's end, she was the only one left standing. Celia Dale choreographed the second piece of the program, a repertory piece, "The Tempest," danced by seven female dancers. 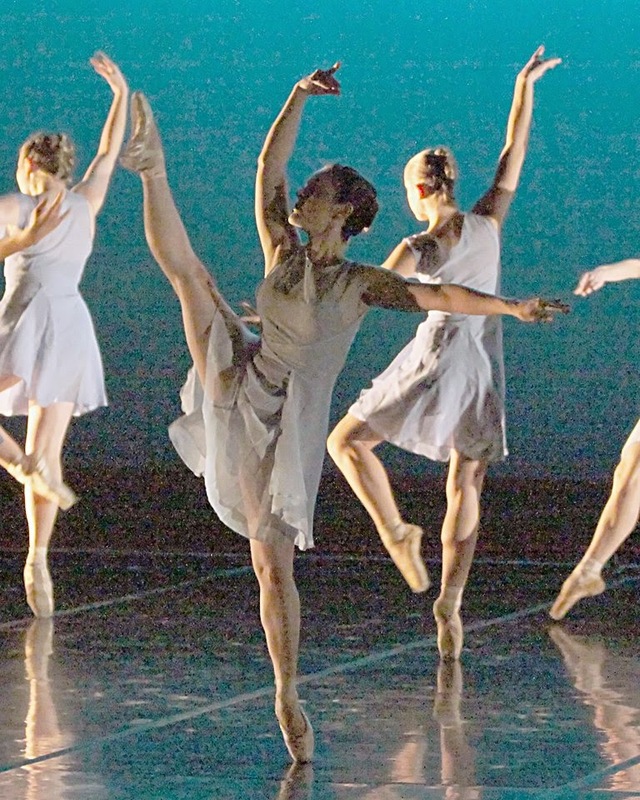 Dale's loose and flowing contemporary ballet shapes, with dancers clothed in tunics of pale blues, allowed the oceanic and otherworldly qualities of Shakespeare's tale to come through, as "sea nymphs hourly ring his knell." The group came together in small trios and pas de quatres, as well as larger, ensemble moments, with each dancer showing the extent of her technique in their mutually exquisite lines, as well as long, sustained passages danced en pointe, and requiring incredible strength and stamina to sustain. Punctuating the dance movements, which varied from crashing and raucous, to light and airy, were spoken passages of "The Tempest," narrated by Giacomo Zafarano. Annie Cormier's solo moments were gentle, powerful and expressive, reminding us in Shakespeare's words, "We are such stuff as dreams are made of." 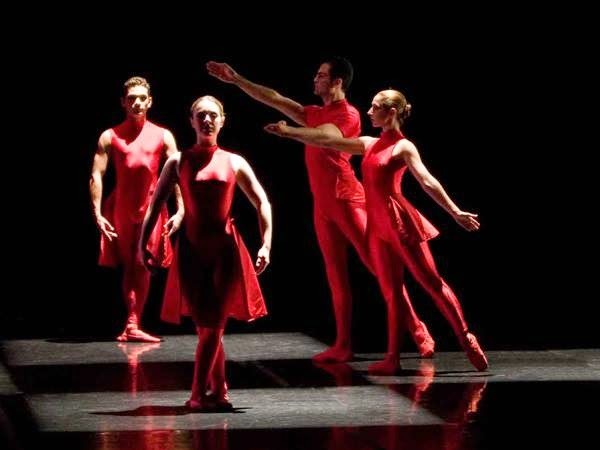 The final presentation, "Romeo and Juliet," is also a repertory piece, one which choreographer Alex Ossadnik has previously set on the company, using the concept of a chess game. By Ossadnik's vision, the traditional star crossed lovers become the Black Queen and the Red King, danced with passion and abandon by Annie Cormier and Giacomo Zafarano, while surrounded by the other characters (or pawns?) in the tale. One of the most intriguing characters Ossadnik created for this dance was that of "Peace," clad in both black and red. At times, her movements became mechanical, suggesting the machinations of fate that are ingrained in this tale, and special mention must be given to the creative lighting design, with checkerboard patterns created on the floor, all of which accentuate the larger Shakespearean themes of surrendering to unknown forces that are greater than ourselves. Director Katherine Giese's eyes twinkle when she talks about what's coming next for their upcoming season, commemorating their 25 years here in Albuquerque. For more information about BRT's company, their classes, summer workshops, as well as their upcoming season, visit their website at www.brtnm.com.